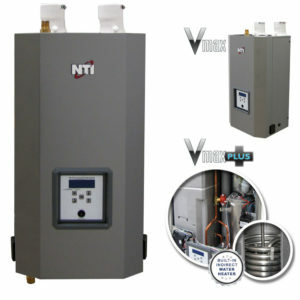 A family-operated business, NTI manufactures only top-quality hydronic heating equipment. Acknowledged as a leader in research and product development, NTI is a pioneer in developing the most advanced and efficient home heating equipment. 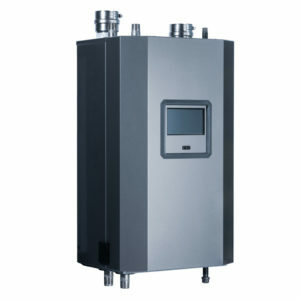 NTI boilers are developed using state-of –the-art computer assisted design techniques and in accordance with the guidelines of the Canadian Standards Association and A.S.M.E. industry codes. The on-site laboratory and training facilities at the head office in Saint John, New Brunswick ensure ongoing quality control, product development and contractor support. The customer service hotline and extended warranty program maintain the NTI commitment to you. With NTI, you’re buying quality, North-American-made comfort. A new home heating system is a decision you will live with for a very long time. When considering the price and financing options of the equipment, also review the energy and cost savings it provides. Complete your limited lifetime warranty registration for your NTI Boiler. Simply fill in the online form or download a PDF version to complete by post. NTI very much discourages the practice of consumers buying our products online. Our boilers are sophisticated appliances, and require extensive training to install and service. Max Input: 399,000 BTU/H Stainless steel down-fired fire tube heat exchanger.